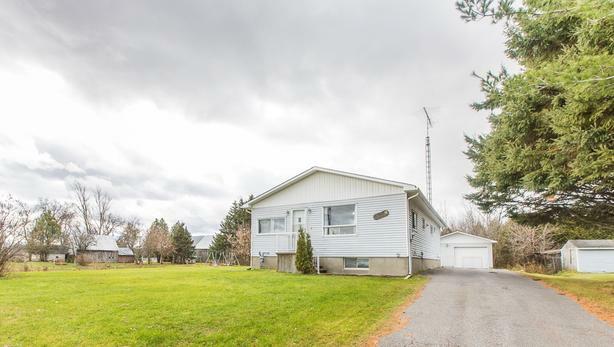 This adorable 3+1 Bedroom Bungalow is located on a large lot in the small town of Clarence Creek. The main floor hosts a spacious eat-in kitchen with lots of natural light, a sizable living room with hardwood floors, updated 4PC Bath and 3 bedrooms. The master also has a 3PC Ensuite. The lower level offers a 4th bedroom, rec room with a gas fireplace and lots of storage. Photos cannot explain how much space this house has! There is also a detached garage, perfect for storing the car during those cold winter days.